Creating a companion app to a new wearable device to help asthmatics monitor and manage their health. This product is aimed at helping a user overcome some of the challenges associated with managing their asthma, and improving medication adherence to improve health outcomes. Increasing the quality and quantity of donations by applying UX best practices to website and brand redesign. 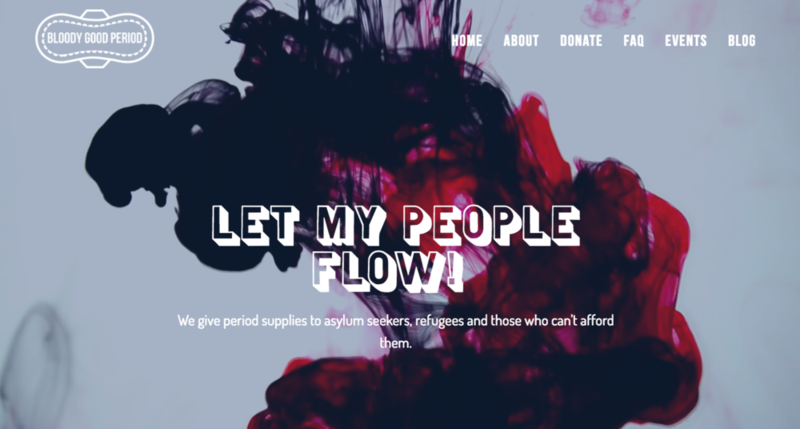 Bloody Good Period started in Autumn 2016 to ensure a sustainable flow of feminine sanitary products to asylum seekers, refugees and those who can't afford them. I redesigned the website for them, along with updating the brand to ensure a more consistent visual design across all channels. I also managed a network of creatives to create content and increase engagement through social media channels.